The details and the fabrics are so glamorous and 100% luxurious. L’élégance à l’Italienne… Love! And the shoulder pads are back! Yeahhhh! Sors tes épaulettes Paulette! 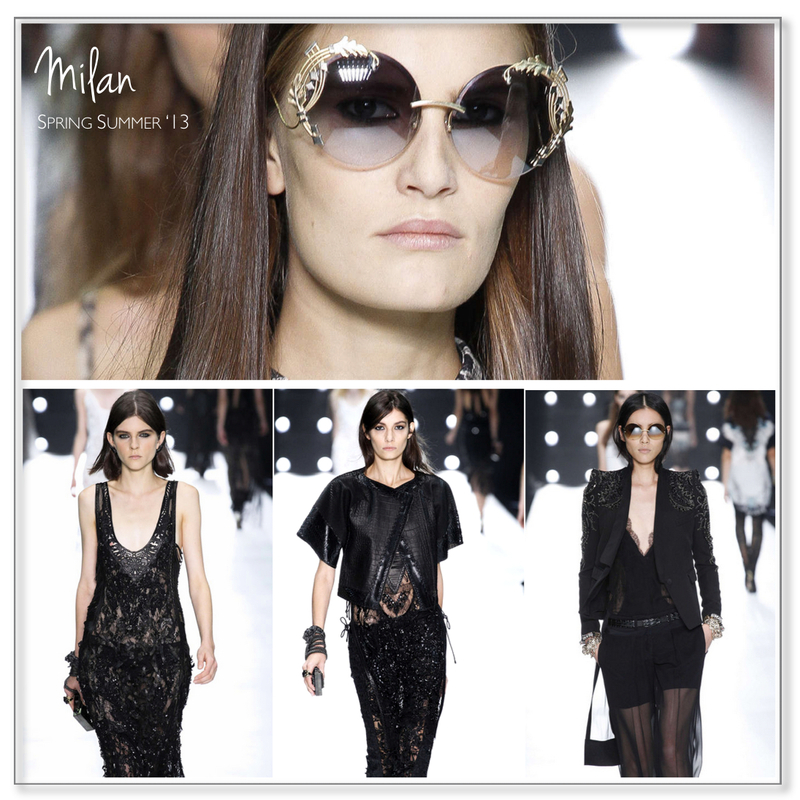 Milan always show the world its talents and luxurious fabrics, laces and attributes. Like most of French girls, I am used to dress in black! Timeless and elegant!